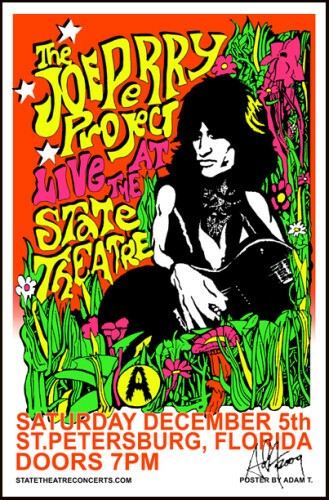 This is a very limited 11 x 17 gig poster printed on thick card stock designed by artist, Adam T. 2009 This piece was issued to promote a Joe Perry solo concert in St. Petersburg, Florida. This is a beautiful poster that looks stunning framed. The poster is signed by the artist and very cool! It will be mailed flat between heavy cardboard. you’re bidding on a non-framed copy. There were less than 100 of these printed and here’s your chance to score this great original collectible! Postage is $7.95 in the USA, $19.95 International Priority.